This littlle yacht is amazing speedboat with large deck with sunbeds and great set of leather coated chairs behind. In the cabin you can relax and it fits up to 3 adults or 2 adults + 2 kids on familly trip. 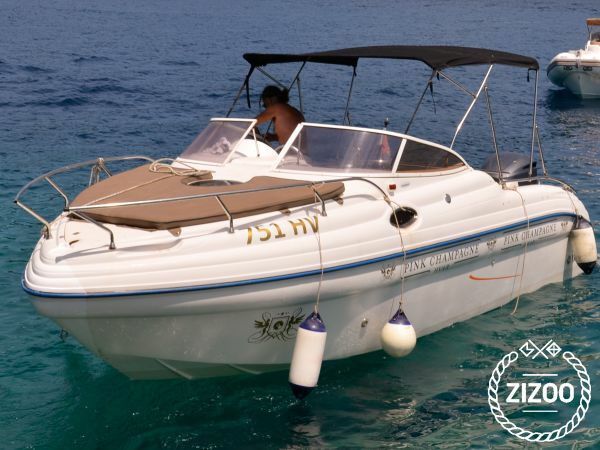 Boat can take up to 9 persons, and its best way to explore natural beauty of Hvar and Vis islands, to take a party trip on beach clubs ot transfer from/to Split Airport. Requested 72 times this week!